World Aspergillosis Day and the Fungal Infection Trust thanks the members of the Aspergillosis Trust for all their work. This image is on London buses from 7th January for 4 weeks so incorporates WAD. 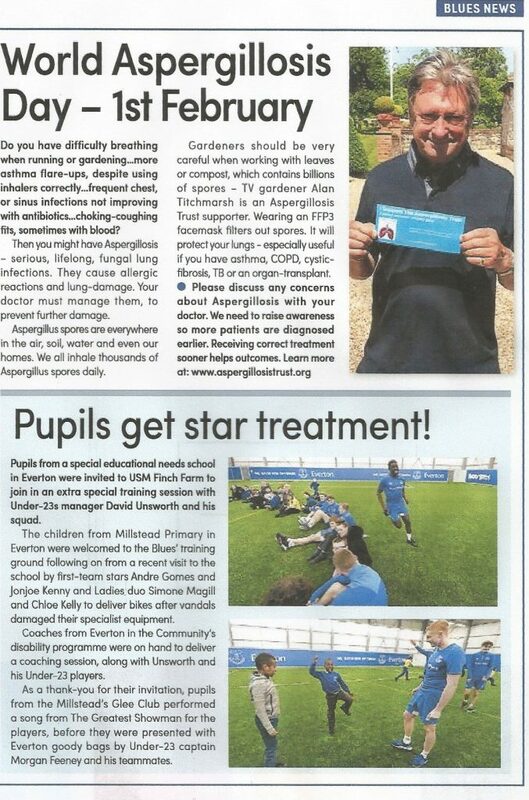 We have also written an article for magazines and Everton Football Club have published it for us. There will also be a poster sent to Medical Schools and Hospitals showing all our supporters from our selfie campaign. 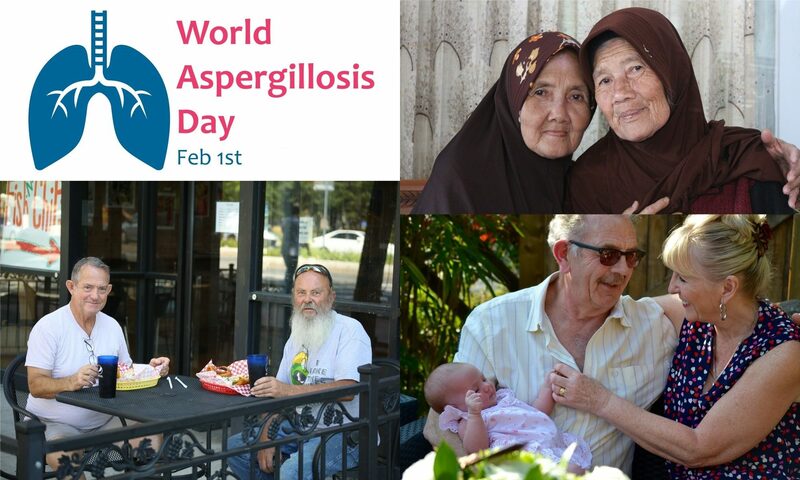 I smiled when Jill Fairweather asked us to write a few words on how aspergillosis affects us. I am sure most of us could write a novel on the effects it has had on our lives, before and after being diagnosed. I could write a novel on applying, fighting and winning my personal independence payment (PIP) allowance with this disease alone. Before I was diagnosed, I thought I had lung cancer. 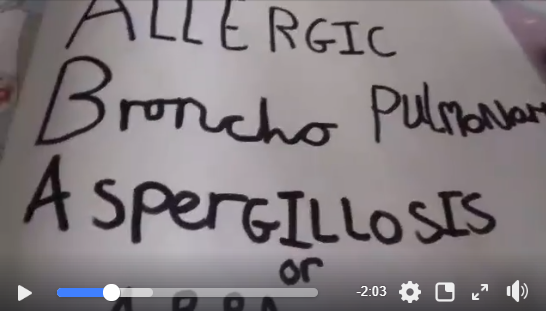 It has been five years since the start of my symptoms and about two and a half years since being positively diagnosed with allergic bronchopulmonary aspergillosis (ABPA) and chronic pulmonary aspergillosis (CPA). Worst part for me was the initial feeling of isolation and loneliness. I didn’t know anyone else who had this disease. My GP didn’t know anything about it, my friends had never heard of it. After a few months the phone calls to go to different events in my local area began to stop. I would say I could go and then on the actual day feel so unwell I used to cancel. So after lots of cancellations the requests to go became fewer and fewer. I had to have a stair lift fitted because I was too breathless to climb the stairs. I experienced numerous episodes of bleeding from the lungs, two of them were life threatening. I was on 40mg prednisone daily and put on four stone. I had become very withdrawn. Apart from GP, respiratory appointments or hospital inpatient stays I didn’t go anywhere. I had become very frustrated and angry because I couldn’t get any answers as to what was wrong with me. Since being diagnosed and put on the right medication for me personally, I have got my life back. Yes, I have bad days, i.e. pneumonia last year and more recently a collapsed lung but I can breathe, I can go out, I can socialise, I can exercise. I know I am one of the lucky ones with this disease who has had some remission from it. I had tried voriconazole, but I was still getting bleeding and other side effects. Once under Professor Denning’s care my medication was changed to posaconazole, I stopped the prednisone gradually and went on a 6 week pulmonary rehabilitation course. I have since lost the four stone I put on, partly through diet and partly by exercising. I also have a wonderful and understanding respiratory consultant who referred me to Professor Denning. I wasn’t keen to go as it is a 600+ mile round trip for me, but I am now so happy that I made the decision to attend the National Aspergillosis Centre (NAC) in Manchester. I know for some Aspergillosis can be successfully managed, I am one of those. When I see how far we have come with raising awareness of this condition, from the five years that I first started with the symptoms, it is amazing. 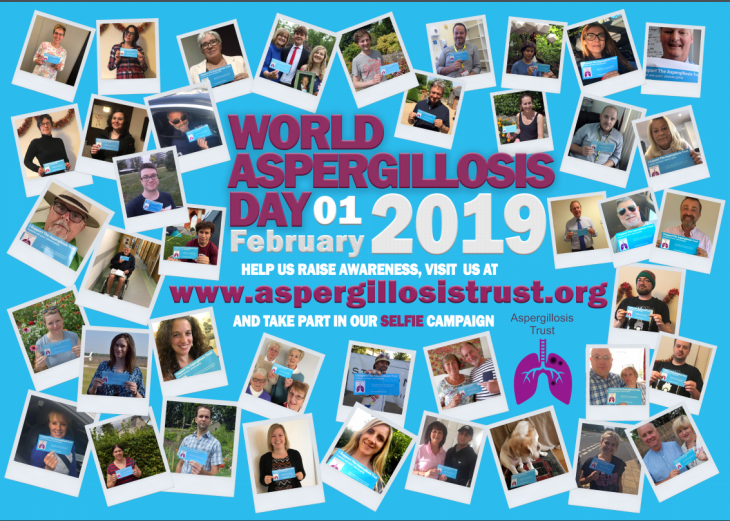 Who would have thought that we’d have an Aspergillosis Awareness poster on the back of some London buses for World Aspergillosis Day on 1st February 2019?! Each day to me is a blessing in disguise. I’ve had to learn not to be overwhelmed by having this disease and live life to the fullest. Some days are good, some not. I also wouldn’t have been able to face this without the support of my family and the Aspergillosis support group on Face Book, my fellow “Fungies” , to which I am forever grateful. I have had ABPA since 2006 then CPA since 2013 amongst other lung problems, but Wythenshawe keep my health under control as best as they can. I have Bronchiectasis and severe COPD. I have been successfully treated for Mycobacterium Avium Complex and Psuedemonas a few times. I have been in and out of hospital for a few years. I was diagnosed with Aspergillosis in April 2018 and at the time I could barely walk up a flight of stairs. My quality of life was poor, with more bad days than good. I was in Hospital in London for 3 weeks and this had a big impact on our lives. The cost of my family coming to visit and the distance was a big factor. I am currently responding well to 8 week cyclical treatment of Intravenous drug as an outpatient in our local hospital. My treatment is ongoing so obviously effects our lives. The good news for me, is I am responding well and breathing is good. Since being diagnosed with CPA I am no longer able to work. I also developed epilepsy which affects my long and short term memory. This means my wife Karen’s life has also been affected a she has to drive me around an accompany me to all appointments. I couldn’t live with this condition if not for her love and support. When I was told I had aspergillosis and was being referred to Wythenshawe Hospital, I cried. I cried because my brain heard ‘Asbestosis’. Well … who had heard of aspergillosis! Currently undergoing observation as to the best way forward as other meds are preventing the anti fungals treatments from working. However, for me, steroids are the magic bullet and get tremendous relief within days. The worst side effect for me from this condition is fatigue. However, a good excuse to take extra care of myself and highly recommend Tai Chi as a gentle form of exercise that works on strengthening my lung function. We are a rare group. My story is that I was diagnosed in 2001 after a dreadful summer of coughing, lung collapse and lots of different antibiotics by a very clever, persistent GP. I got mould plates to test my house and place of work from USA, I had to send a $50 in the post. My office was high in aspergillus reading (right under the eaves of an old building) and my bedroom where we had had extensive work the year before because of a rotten ceiling beam and damp wall. I had to do a lot of research myself as there wasn’t a patients’ network in those days. I was in hospital with pneumonia in 2000 and again in 2015 and 2017. In between whiles I’ve had various chest infections, sometimes I think because of aspergillus when I lose my energy totally and find it difficult to speak. In early 2015 I was very poorly with GP and hospital not listening to me. Persistence paid off and I was eventually given a blood test for aspergillus. The reading came back very high and since then the hospital (Kingston) is very helpful and aware of the condition. When I have been admitted to A&E subsequently everybody knows about aspergillus. The same with my GPs who now have other patients with the condition. I have been very fortunate in that a steroid inhaler(Fostair at present) has kept me going and I now have rescue packs of antibiotics. Since my last admission to hospital in December 2017 I have been monitored by Kingston Hospital by one of their consultants every few months. I think I joined the patients’ network about 5 or 6 years ago, I was 1001 member. Everton FC is one of the oldest football clubs in the world, forming in 1878. They are one of the very few ever-present teams in the English Premier League, never having been relegated from the top flight league since 1953, spending 116 of the 120 seasons that have been played in the elite division, more than any other team. The Aspergillus Trust are very grateful that Everton FC featured this ad in support of World Aspergillosis Day on Feb 1st in a recent matchday program, distributed to 40 000 supporters. It would make my life easier if I did but it would not cure this awful illness. There are some things money can’t buy. I was thinking what would I do with the money. The first thing that came to mind would be to pay someone to drive me around. I am the driver in the house and I know sometimes I don’t go out because I can’t be faffed. I would meet up with more of the friends I have met through this illness. I have got to know loads of people and I regard most of them, my friends, now not just acquaintances. I meet them occasionally when we are all fit enough but if I have someone to drive me around I would pick them up and do a bit of fine dining. We would have Aspergillosis Meetings in Michelin starred restaurants! I would also chuck money towards research. I don’t think it would last long in my pocket! The imagination is running away with me again today. Well, tomorrow is the big day and I am busy organising all the lovely selfie photos everyone has sent (it is not too late) and amazing stories which I intend flooding social media with tomorrow. The stories are so interesting as it is quite staggering the number of people that get wrongly diagnosed at first but once on the correct treatment things improve. That is why early diagnosis is paramount. I have one more thing to add about my routine where my drugs are concerned. My GP will not prescribe 2 of my medications Colomycin and Fungizone or all the other bits that go with it, water, sodium chloride, needles and syringes and a sharps bin. So this is done separately. It gets delivered to me every 2 months from a firm that is organised from Brompton Hospital. Nine times out of ten it is a brilliant service so can’t complain but I have a cupboard of drugs and now have a spare fridge as the Fungizone has to be refridgerated. I have also invested in a small portable fridge if we go away for a weekend or something similar. With sorting medication and hospital visits, 2 lung doctors, bone man, heart, eyes and diabetes my life does revolve around being ill no wonder sometimes I can’t be faffed to go out. Sounds very depressing but the majority of the time it is routine so I don’t notice it much of the time and even though most of the people I talk to daily have aspergillosis they are from all walks of life and we seem to have so much talent between us. Pharmacists, Horticulturists, scientists, it shows that Aspergillosis isn’t proud where it shows it ugly head. All these lovely friends have turned their hands at other things when unable to work. So many crafty people, writers, further education, singing. It goes to show what a determined bunch we are. So even though this illness can take over our lives we don’t waste a minute of it. Join us tomorrow and spread the word. 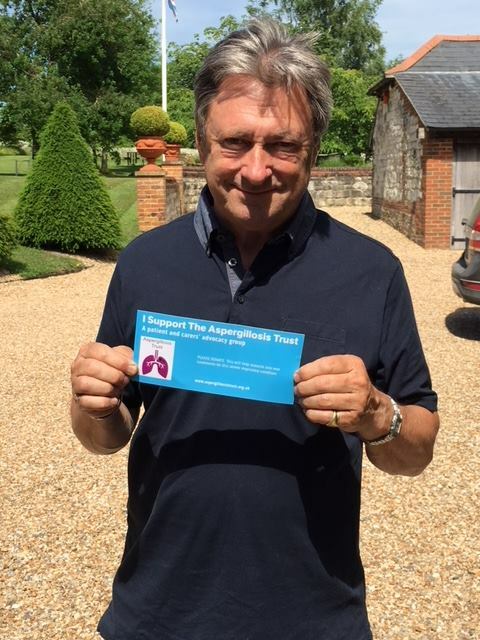 The Aspergillosis Trust has been collecting selfies from people, some you may recognise, holding the Aspergillosis Trust SelfieCard. Many of these people are patients & carers, some are actors from TV soaps such as Coronation Street (ITV, Manchester UK) or well-known TV gardeners such as Alan Titchmarsh. One is a TV Dr- science communicator, another is an Olympic athlete on Team GB! 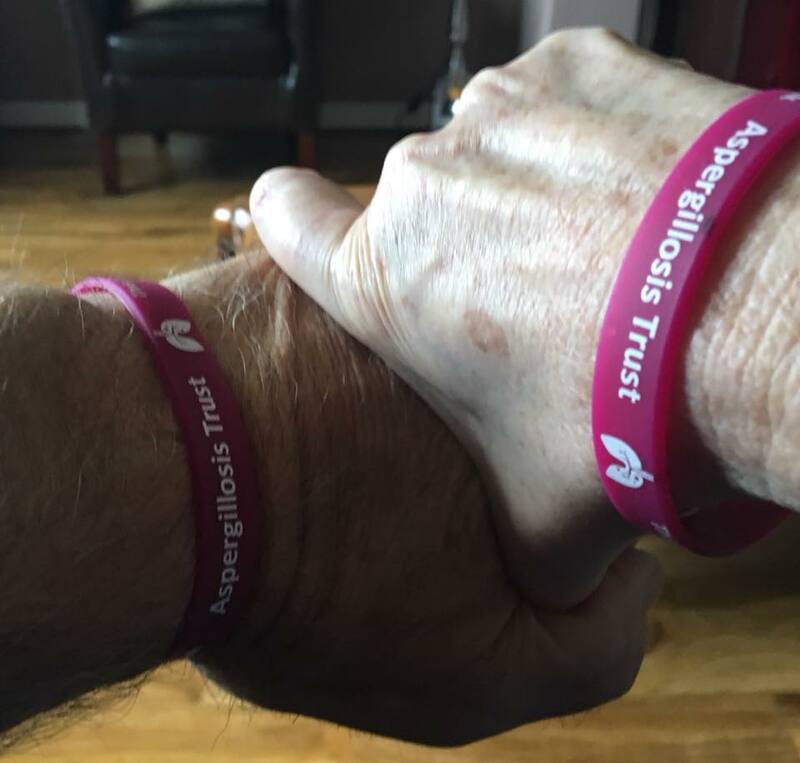 Whoever they are they are all playing a role in the vitally important work that the Aspergillosis Trust is carrying out on behalf of patients & carers and the Fungal Infection Trust. Take a look at their gallery here and see who you can spot! Kate has aspergillosis and like many other patients with a form of chronic aspergillosis, she has to follow a daily routine of medication preparation and consumption. Kate’s granddaughter is amazing at helping her Nanny. If you haven’t got aspergillosis or other incurable chronic disease or you don’t live with someone who does you really should watch this short video as it will bring to your realisation the sheer amount of preparation and work it takes just to manage your medication every single day. Then consider the impact all those medications have on Kates health, commonly making her feel nauseous, cough uncontrollably, lose weight quickly, or put on weight, make all movement difficult and exhausting or just make her so fatigued it is a huge effort of will just to get out of bed. People with aspergillosis can have all of those symptoms – and those are the good days! During a flare-up of ABPA or when their lungs get an infection on top of the aspergillosis, they may have to take large amounts of antibiotics or even be admitted to hospital for a few days to have liquid antibiotics administered directly into the bloodstream. Or some people with aspergillosis experience bleeding from their lungs, coughing up hundreds of millilitres of blood in an episode. In many parts of the world there is poor diagnosis of fungal infections. Part of the problem is a lack of expertise and equipment in the many diagnostic labs that already exist and in some there is a lack of a reliable electricity supply so sophisticated machines are not going to help the situation. This is a significant barrier to getting the right treatment to many millions of people worldwide. 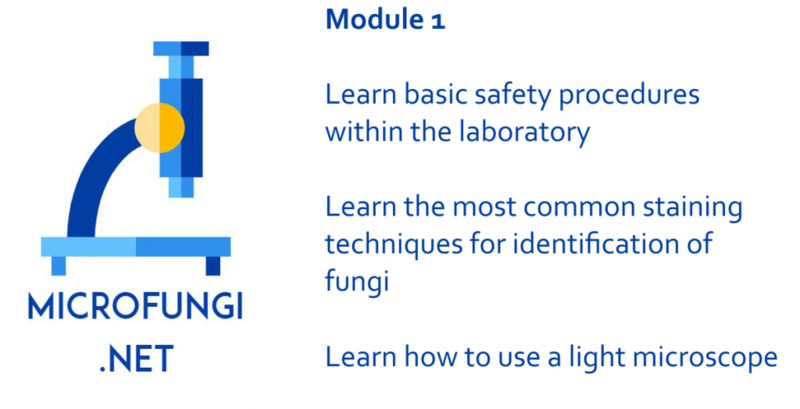 The Fungal Infection Trust has designed and built a series of online courses that are intended to train people to diagnose all fungal infections using nothing more than a light microscope and a few simple stains. A microscopy training course for mycologists in 4 key modules. Microfungi.net is a series of four modules translated into four languages (English, Spanish, Portuguese and French) with more to come in Chinese. Participating is free of charge and qualifies the participant to receive a certificate accredited by the University of Manchester, UK. This course has been available for 18 months and hundreds of people have visited the site and started a course, but much more needs to be done and many more people need to become aware of this resource. In addition large parts of the world do not speak any of the languages we have mentioned so far, so we need to add more translations to make this valuable resource more widely available. The National Aspergillosis Centre and the Manchester Fungal Infection Group (MFIG) are at the forefront of the investigation of why some people get chronic aspergillosis when most of use do not. We are all breathing the same air and the source of the infection can only be the fungal spores in the air as most infection affect the lungs and sinuses! Genetic studies looking at the entire genome of groups of patients who have chronic aspergillosis have started to reveal a small group of genes that seem to be consistently associated with aspergillosis. Perhaps unsurprisingly many of these appear to play a part in different parts of our defence mechanisms to resist infection. Fungi offer particular challenges for our bodies to solve – they are made up of strong threads that can force their way through membranes that would stop a bacterium for example, and fungal threads (hyphae) are far to large for a single neutrophil to engulf. A recent study released by MFIG & NAC characterised a single gene named ZNF77 which, when carrying a particular mutation, causes Aspergillus fumigatus spores to stick more easily and strongly to the walls of an airway, and to germinate and grow faster! It isn’t difficult to realise that people carrying such a mutation will be more vulnerable to infection by Aspergillus, however even that change on its own is not thought to be enough to cause CPA or ABPA. There is much more to learn but it could certainly be useful to screen people thought to be at risk of chronic aspergillosis for this mutation. If someone has the mutation doctors could provide increased protection e.g. by giving antifungal drugs prior to and during a planned medical procedure such as a transplant. It is highly important that we are able to diagnose someone with aspergillosis as quickly as possible as the outcome of treatment is improved if we can begin earlier. Currently diagnosis is a complicated process that takes up a lot of time and that has a particular impact on people who have an acute invasive aspergillosis as that infection can progress rapidly, however there is also a large population of people who have chronic forms of aspergillosis such as Chronic Pulmonary Aspergillosis (CPA) and Allergic Pulmonary Aspergillosis (ABPA) and it is likely that many cases of severe asthma (SAFS) are also caused by Aspergillus sensitisation. People who have chronic forms of aspergillosis are typically very difficult to diagnose. 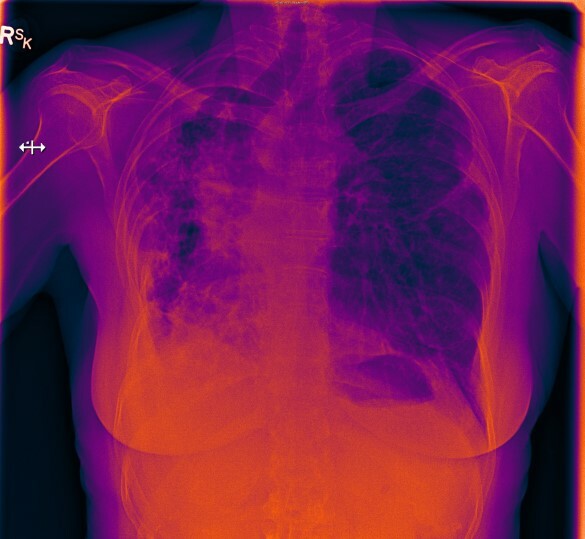 Centres such as the National Aspergillosis Centre (NAC) in Manchester are dedicated to detecting aspergillosis in patients who are struggling to manage severe asthma for example. Doctors throughout the UK send their patients to NAC as there is no local expertise, a situation that is repeated in many countries throughout the world. 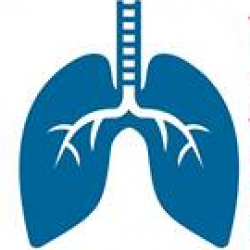 Only the worst patients tend to be referred, many fewer than predicted numbers of how many people there should be with ABPA/SAFS and other chronic aspergillosis in the UK. A simple test is badly needed to identify the ‘missing patients’, a test that must be sensitive and simple to use. LD Bio, a company based in Lyon, France have developed a solution that may have far reaching consequences. Using this device doctors at the bedside of a patient who they suspect may have chronic aspergillosis can now simply put a drop of blood into the sample well at the top of the device and wait for a few minutes for the result to develop. If the patient has aspergillosis two bands will appear, if not one band will appear. 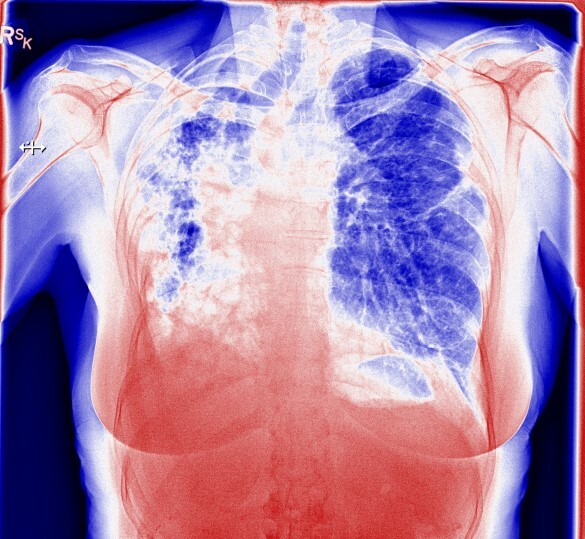 The National Aspergillosis Centre in Manchester, UK has tested the device (results to be presented at ECCMID 2019 in April 2019) and found it to be accurate, identifying 91% of cases of Chronic Pulmonary Aspergillosis in 30min. The manufacturers claim that this test is equally as useful to detect cases of Allergic Bronchopulmonary Aspergillosis (ABPA) and Aspergillus colonisation, suggesting that many more ‘missing’ patients could now be identified quickly and cheaply. If the same technology could be used to detect cases of SAFS then even more patients could receive the correct treatment more quickly. The test is cheap and accurate enough to use when resources are low (potentially even in developing countries) and a rapid result is desired.